Himachal Pradesh, snuggled in the lap of Himalayas offers the best experiences of trekking in India. For the true mountain lover or an adventure enthusiast nothing beats the thrill of enjoying trekking in Himachal Pradesh. Passing through some of the most beautiful sceneries, with a dose of adventure, treks in Himachal is surely to gift you with memories that last a lifetime. 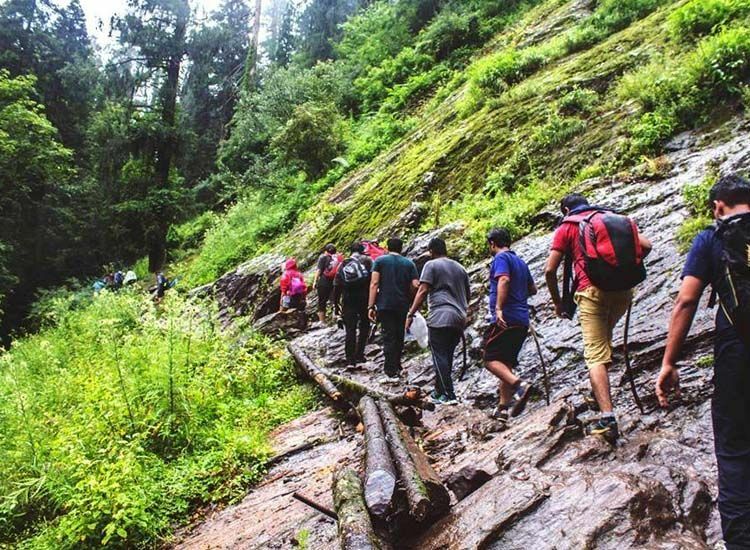 Passing through lush valleys, meandering rivers, snowcapped peaks, barrens stretches, isolated villages and so much more, treks in Himachal are truly exhilarating. While the beauty is awe-inspiring, the experience is cherished for a long time. One of the easiest treks in India, Triund in Himachal Pradesh is one of the best places for adventure. Nestled in the lap of Dhauladhar Mountains, Triund enjoys breathtaking views of the mountains and the Kangra Valley. A tranquil experience of the Himalayas, the trek starts from Mcleodganj, the mini-Tibet of India, where His Highness the Dalai Lama makes his abode. The 6-km trail passes through a beautiful mixed forest of oak, and deodar. The adventure expedition ends at the campsite, where tented accommodation lets you enjoy an escape from cities. The pure bliss of the mountains, amazing views and above all, the clear skies that reveal uncountable stars, makes the adventure worth your time. Plan a weekend getaway in Himachal or a mini break, with this exciting trek. Best Season: October to December and March to June. Hidden in the beautiful expanse of Himalayas, the Kheer Ganga trek is not just one of the popular treks in Himachal Pradesh but certainly also among the best in India. The breathtaking beauty coupled with the thrill of the unexplored, is a perfect dose for adventure for the mountain lovers in essence. Pass through slopes of Parvati Valley, secret villages and nature that is left untouched. The views especially are soothing to your senses. Moreover at the very end of the trail lies the therapeutic waters of the hot water spring. The name of the trek, Kheer Ganga comes from the water spring, which is said to have medicinal properties. 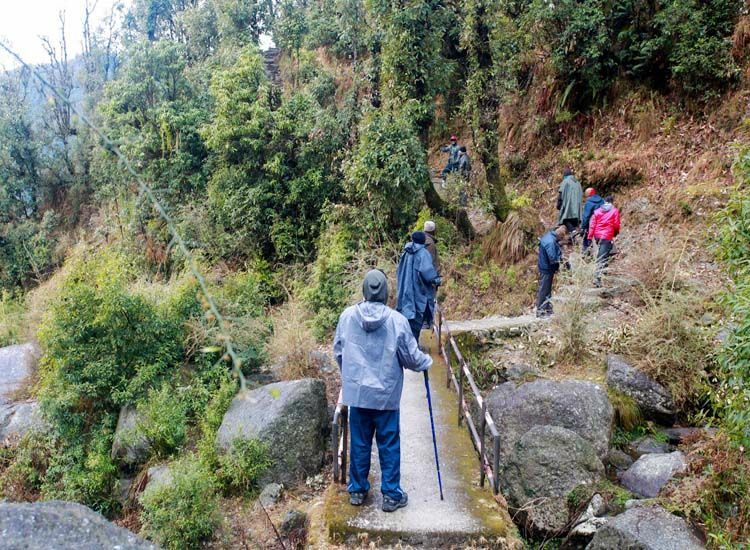 The 11 km trek can be started from the village of Barshaini with two popular routes, each marked and mapped by previous trekkers and guides. In addition, you can get help from the local villagers enroute. The perfect introduction to trekking in Himalayas, the Hampta Pass Trek is the best option. The Hampta mountain pass connects two beautiful valleys of Himachal- Kullu to Lahaul, both of which are beauty beyond words. Begin your expedition from the lush Kullu valley passing through apple orchards, green meadows and villages. The terrain changes as you keep moving. As soon as you step into Lahaul valley, the trail transforming to almost barren and difficult topography. 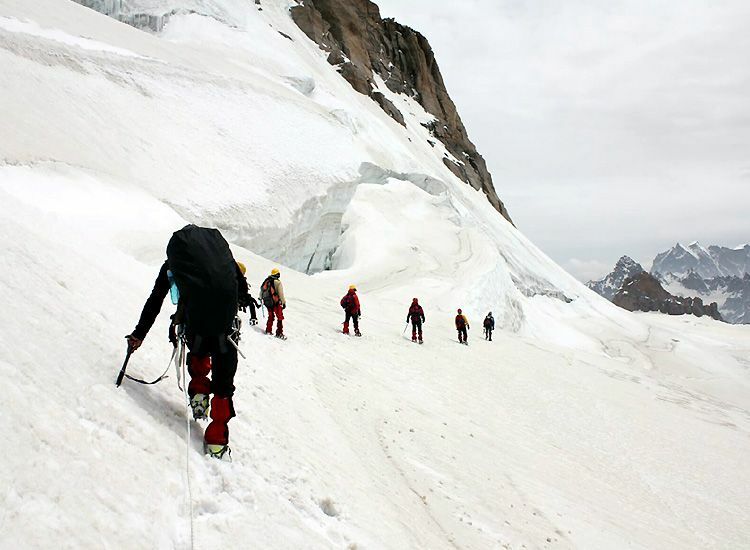 The gradual ascent makes the expedition enjoyable as well as challenging. The fascinating highlight of the trek is a stop at Chandertaal, the moon-shaped lake in Himachal. The different moods and terrains of the Himalayas truly make it an adventure worth your time. Camping under the sky, when at nights’ millions of twinkling stars makes an experience of a lifetime. 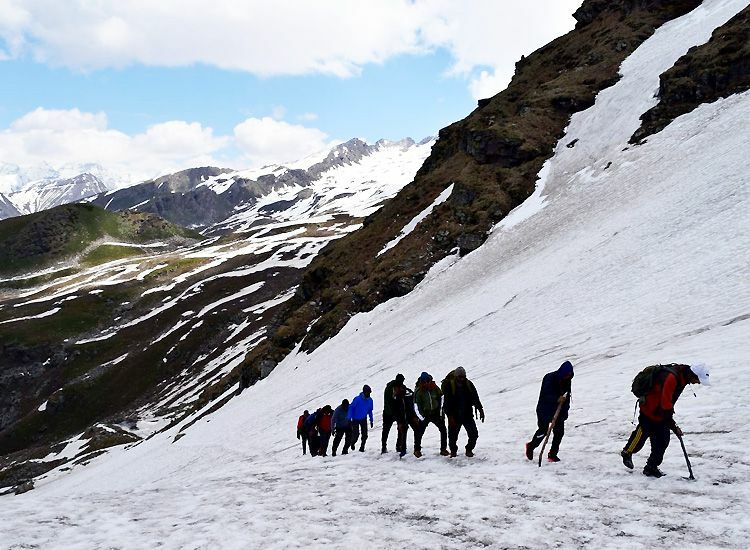 When its the summer season in India, Hampta Pass group tours become the most sought options for adventure in the mountains. take a break away from schedules and plan to feel blessed with your loved ones. Named after the beautiful cerulean Prashar Lake, the trek in Himachal Pradesh, in a word takes you to the very heart of the blissful Himalayas. Surrounded by the imposing Dhauladhar ranges in Kullu Valley, the lake Prashar is named after a rishi mentioned in Hindu mythology. The trekking spot offer breathtaking views of the Dhauladhar, Pir Pinjal and Kinnaur mountain ranges for the most part of the trek. The trek in essence is full of adrenalin-gushing adventure, that ends with a stay in the camp at the lake banks. Sparkling like a gem surrounded by the mountains, the lake has a floating island in it. Settle for a night at the campsite. While the night is a show of stars and moon, the morning brings forth a glorious sunset. The serenity you feel is one of the best memories of trekking in India. A hidden secret of the Himalayas, Malana to Chanderkhani trek is one of the best treks in India. For a true mountain lover, this experience altogether is matchless. Begin your hike from Naggar, a pictorial village near the popular hill station of Manali. Cross lush green valleys, presided by snow-covered mountain peaks, traditional Himachali houses and for the most part the bliss of Himalayas. As you approach the Chandrakhani pass, views of the truly beautiful valleys of Kullu and Parvati open up. Meanwhile, the mystical Malana village, associated with legends of the descendants of Aryans, some of the last remnants of Alexander The Great’s Army is a short trek away. The trek in Himachal is blessed with all the enchantments of the Himalayas. Fall in love with natural beauty, in addition to discovering hidden secrets and the best of all the adventure experience. Amid the bliss of Himachal Pradesh, trek to the Bhrigu Lake is one of the blissful experiences in Himalayas. The Bhrigu Lake trek is one of the best in India, owing to its easy access to the high altitudes. The trail comprise of chilling adventure amid the diverse and challenging terrain of the mountains. The highlight of the trek is stay beside the cerulean Bhrigu Lake, the supposed hermitage of Bhrigu Rishi. The trail commences from Manali, proceeding to the blissful mountains. Mt. Hanuman Tibba, Deo Tibba, Indrasen and the Seven Sister peaks are spectacular views. Also during the journey, come across the grazing pastures of the Gaddi shepherds, magnificent views of hanging glaciers. Lastly, visit the legendary abode of Pandavas during their exile. This adventurous expedition though a short trip is loaded with abundant thrill. 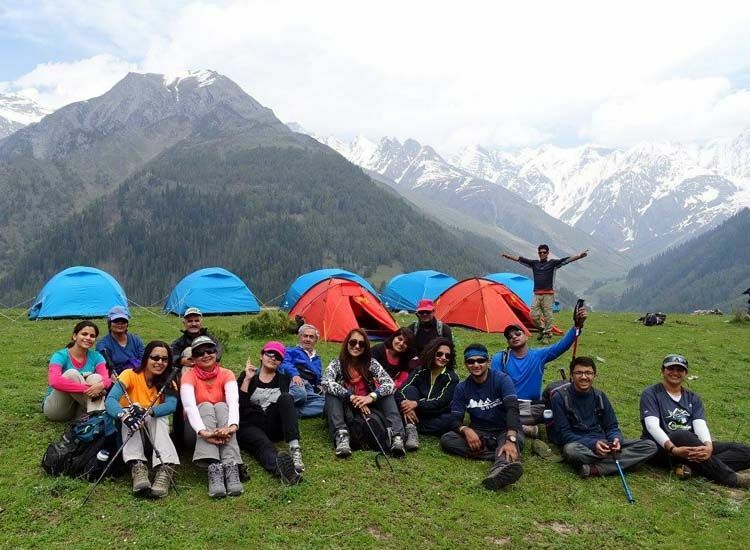 In summer you can embark upon this exciting sojourn in the mountains with well-crafted group tours for Bhrigu Lake trek. Beas Kund is a high-altitude lake in the Himalayas. Associated with holy legends, the lake and especially the trek is one of the most beautiful things to do in India. What makes this trek special is-the trail leads to the very-high peaks of Himalayas in a short distance. 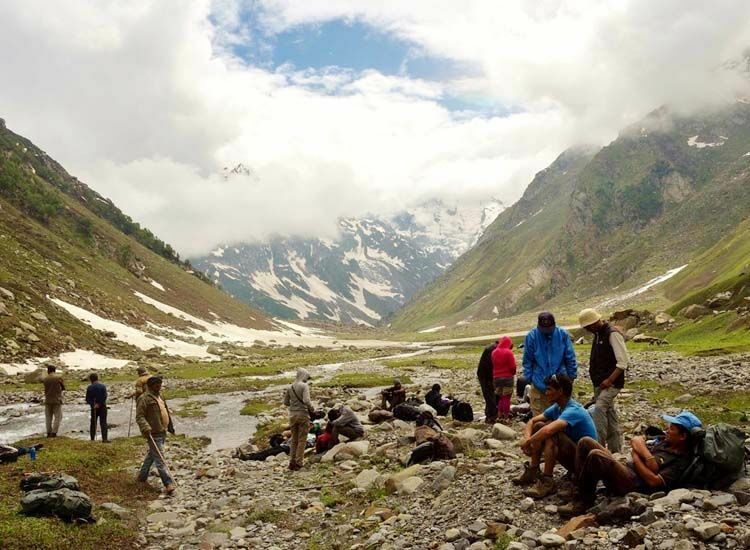 For a true mountain lover, nothing beats the experience of a Beas Kund Trek. 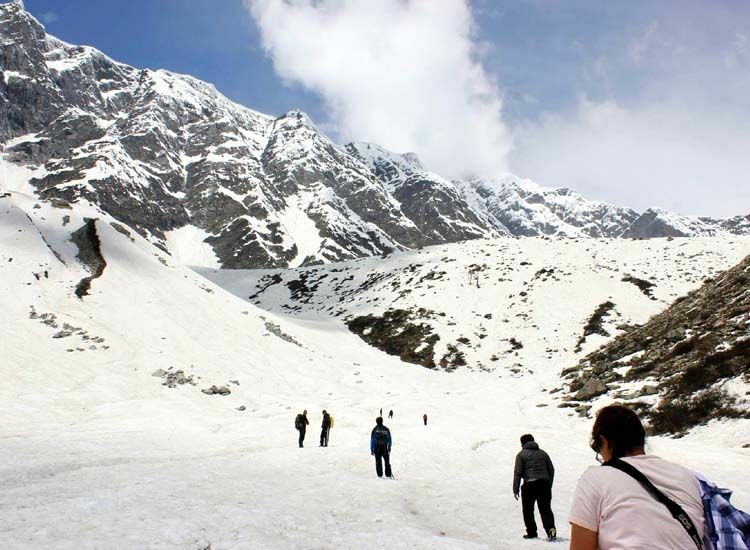 Begin your trek from Solang Nallah, well-known for skiing and paragliding. Pass through thrilling meadows of Dhundi and Bakarthach. Marvel at the majestic peaks of Hanuman Tibba, Friendship Peak, Shitidhar, and Seven Sisters. Meanwhile, hike up to the Beas Kund Glacier. Enjoy some of the most cherished views of mountains with this trekking tour. The trek in Himachal opted in summer is a perfect choice for beginners. One of the easy treks in Himachal, Patalsu Peak trek in brief offers some cherished memories of Himalayas. Lying close to the popular hill station of India, Manali, this adventure getaway is perfect for beginners as well as true mountain lovers. The trail is not arduous but by all means does not lack in thrill. Hike up to the very summit of Patalsu peak, one of the highest peaks in the area, draped in a thick layer of snow. Wander through the lush forests of oak and deodar, beautiful meadows, village and charming environs of unexplored Himachal. The gradual change of landscape of the mountains is the unmissable highlight. The beauty and bliss you experience is beyond words. This trek is ideal to begin a love affair with mountains, take a break from cities and daily lives. 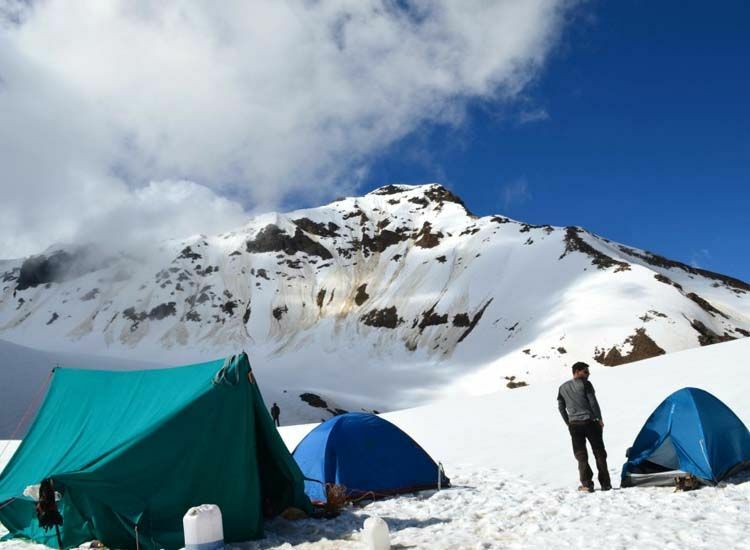 A treat of the Himalayas, Deo Tibba Base Camp trek is among the most beautiful treks in the country. The offbeat trail is relatively unknown by trekkers, therefore offers the thrill of a memorable adventure. Pass through beautiful meadows, forests, rocky terrain under the gaze of snow-covered peaks, lakes, rivers and glaciers. Catch the glimpse of the snow-clad peaks of Deo Tibba and Indrasan. The glaciers of Jagatsukh and Deo Tibba add to the charm. This amazing trek is an easy to moderate adventure, which favors both the expert trekkers and the amateurs. 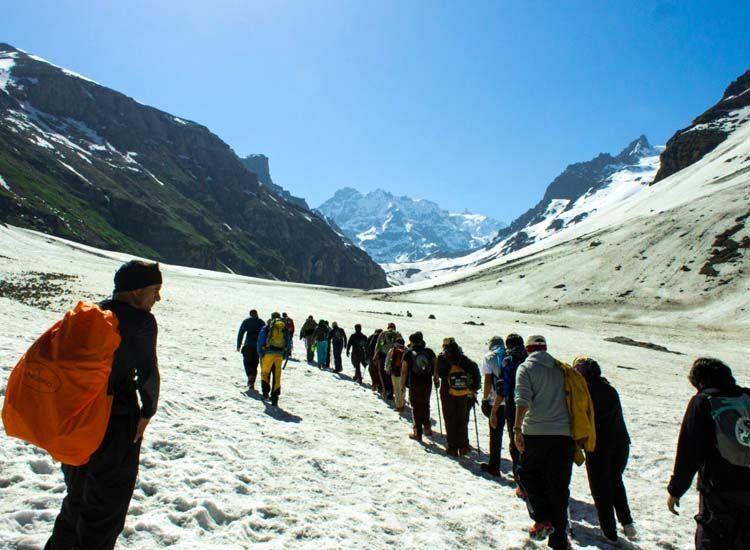 Begin the trek from Manali, journeying across the diverse landscape of the mountains. Also, for nature lovers, this trek is a heaven. Group tours for Deo Tibba trek help in planning out the adventure expedition with loved ones, come summer to the very start of the winters. Best time to visit: March to July and September to December. 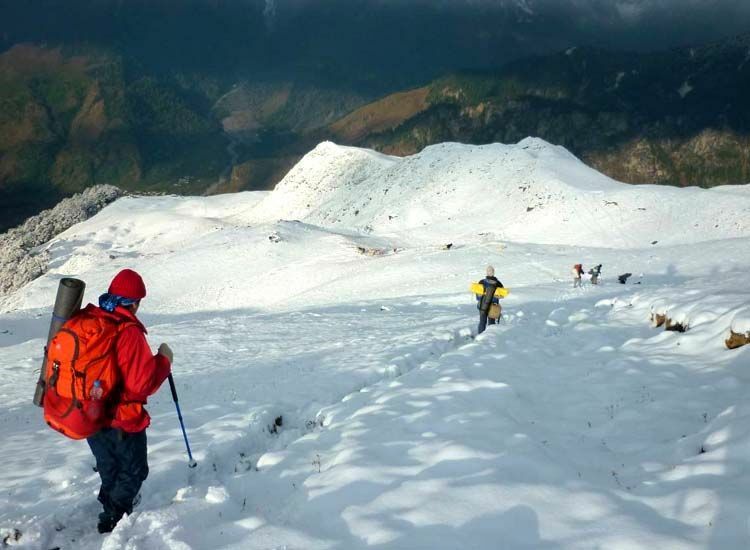 The trek to the shallow Kareri Lake, snuggled in the lap of Dhauladhar mountain range in Himachal is one of the best experiences of adventure in India. The glacial lake is nurtured by the melting snow of the mountains. The entire trail displays the diverse shades of landscape, beauty and charm of the mountains. Pass through lush valleys, while you move on to sub-tropical pine forests, and gradually you will find yourself surrounded by dwindling vegetation. Plan for a weekend getaway or short break, as this challenging trek can be easily covered in a weekend. The trail begins in Kareri Village, a short distance from Dharamshala. On a clear day, the highest peaks in the region are easily spotted while you trek through. Named after the mountain pass, Pin Parvati, the high-altitude trek is definitely one of the most challenging adventures in India. Connecting the mountain valleys of Parvati to Kullu, this trail is indeed among the most beautiful places in Himachal. In addition it also ranks among the most exciting things to do in Himachal Pradesh. A lifetime experience only for the seasoned trekkers, only a true mountain lover well-versed in adventure can fulfil the almost impossible task. Quaint hamlets, lush valleys unexplored by mankind, snow-capped peaks, add to the beauty you come across on this high-altitude trek. The highlight of the trekking tour is the Great Himalayan National Park. As you pass through this sanctuary you might get to get spot snow leopards, amazing Himalayan birds and other wildlife that survives at such high altitude in Himalayas. The Bhabha Pass Trek for one thing is an adventure that one does not forget easily. The challenging route is blessed with impressive scenery of the mountains. 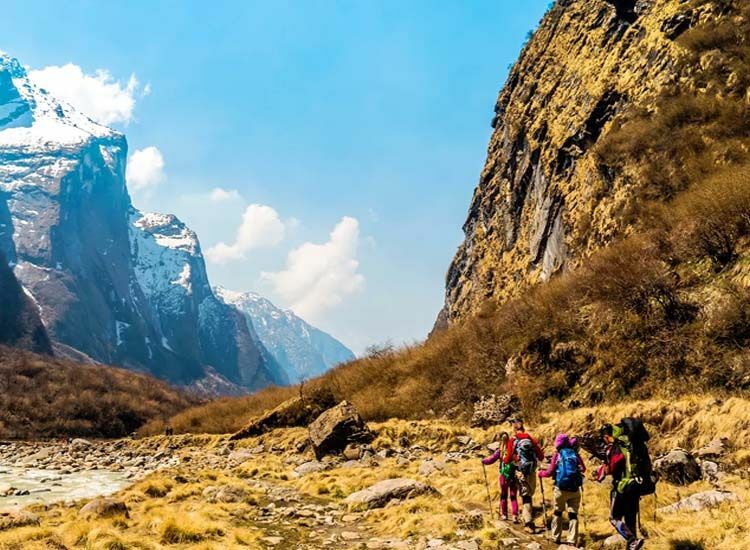 While the trek starts from a quaint hamlet in Kinnaur Valley, the trek has some well-known attractions that include Kungri Monastery, Ki Monastery and Tabo Monastery. The journey takes you through lush valleys, apple orchards, turquoise lakes, breathtaking natural beauty and above all, some of the holy Buddhist shrines dating back to centuries. Feast your eyes and senses to exhilarating adventure. Although the mountains enrapture you with their bliss, the trek however is quite tough and needs proper preparation. Make stop at the azure Chandertal Lake, Pin Parvati Pass, Kunzum la, etc. gaze at some of the mightiest peaks of Spiti, and Kinnaur Valleys of Himachal. 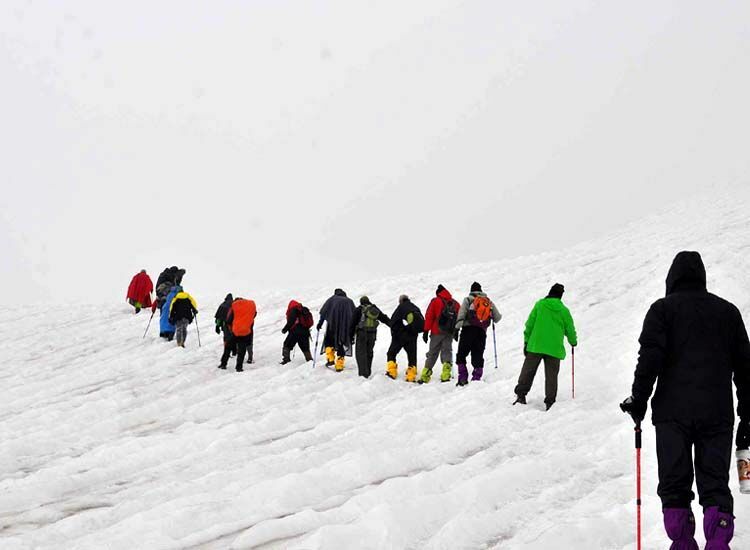 Make the most of your adventure with some of the most exciting trekking tours in India. For the love of Himalayas, the best Himachal tour packages offering experiences a lifetime.